Our company is occupied with oven cleaning in Chiswick W4. We help citizens get stains, grease, food build-up, grime and carbon deposits off their appliances. Our service also ensures that the bad smell is gone once and for all. We are passionate about cleaning and we work very hard to achieve 100% efficiency. We are very devoted. Our staff is qualified and trained as well as well-equipped. We can assure you our service is your best bet. If you want to make an appointment, dial our phone number straight away. Our phone lines are open all the time. Don’t miss out on this chance. We make sure you relax and sit back while we take care of your oven. That’s why we think it’s best to come to your home and get the job done there. You can focus on the things you want to do while we are cleaning your appliance. 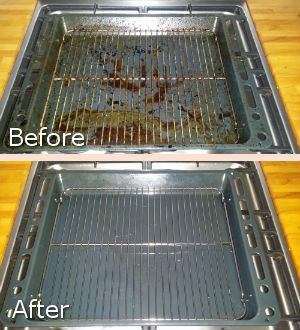 The very process of oven cleaning is quite simple. 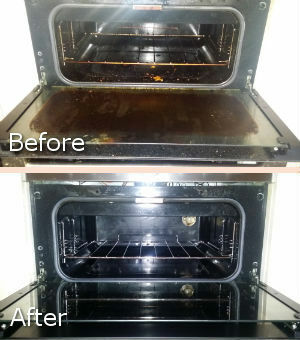 We start by taking your oven apart and cleaning all removable parts in special solution. We remove carbon deposits, grease and food build-up from both inside and outside. We use special cleaning products that were designed for ovens. What’s great about them is that they are gentle on your oven parts but at the same time they are so strong they eliminate grime and dirt in the blink of an eye. You shouldn’t worry about anything. Our cooker cleaning service in W4 Chiswick has you covered. You don’t have to waste time scrubbing and cleaning because our cleaners will take care of everything for you. We work fast and the results we yield are fascinating. Our company can be reached by phone. Our telephone assistants operate 24/7, so feel free to ask your questions anytime you wish. Make an appointment and watch our cleaners tackle all the dirt and grease on your electrical appliance. You will be impressed.